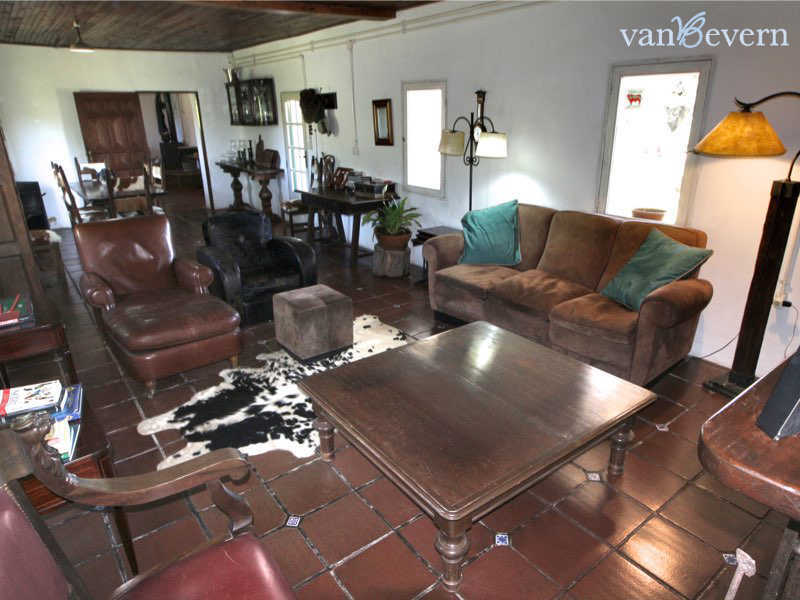 A few miles off the Ruta 109 national highway, this 1,329-acres ranch is located in the mountains of the Sierra de Aiguá. 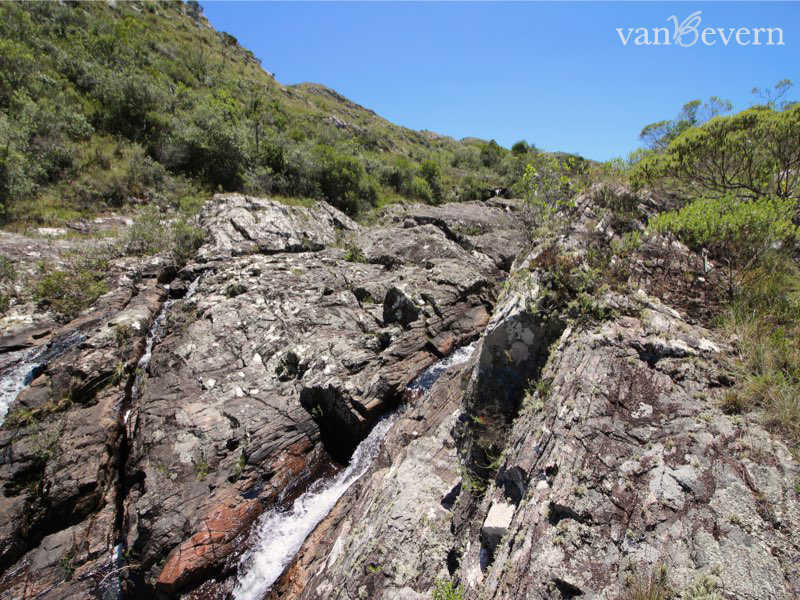 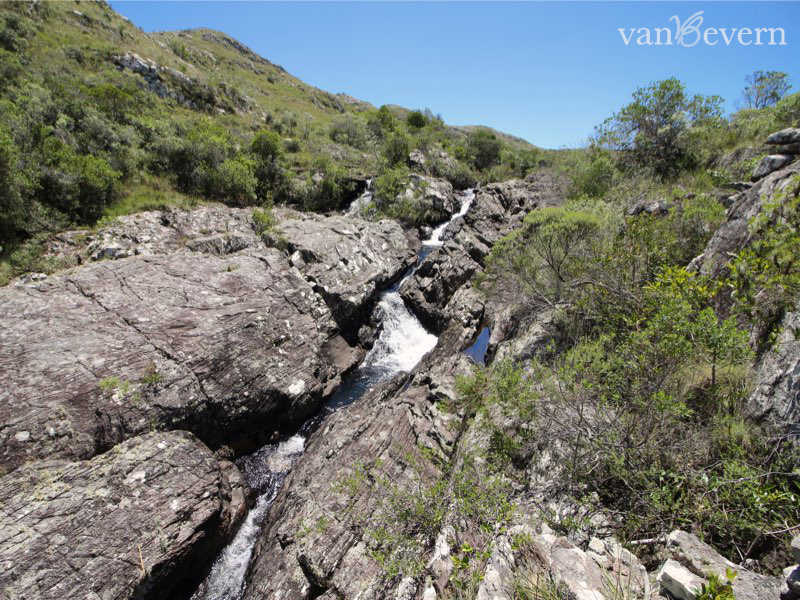 Most of the land is in a natural state and located between 1,000 and 1,300 feet above sea level, crisscrossed by several streams that create small natural paradises with lagoons and cascades in various spots and finally converge in the larger stream known as “El León”. 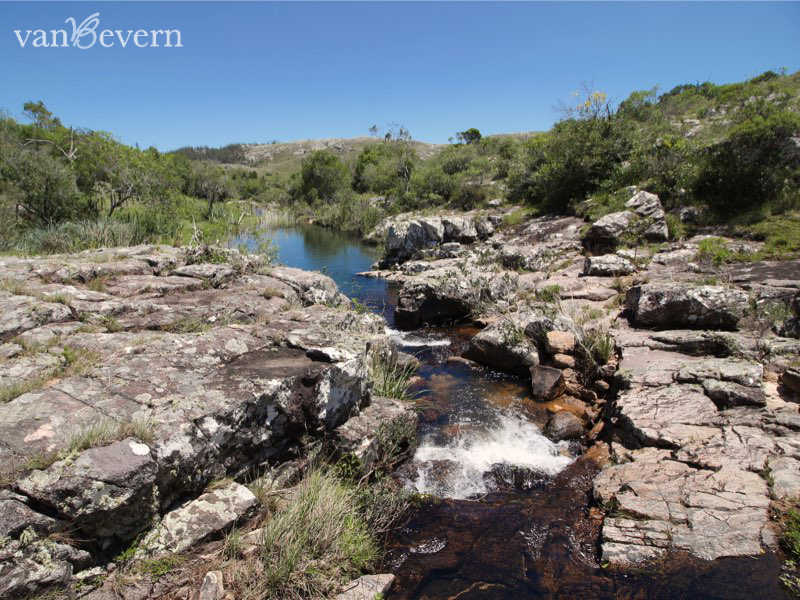 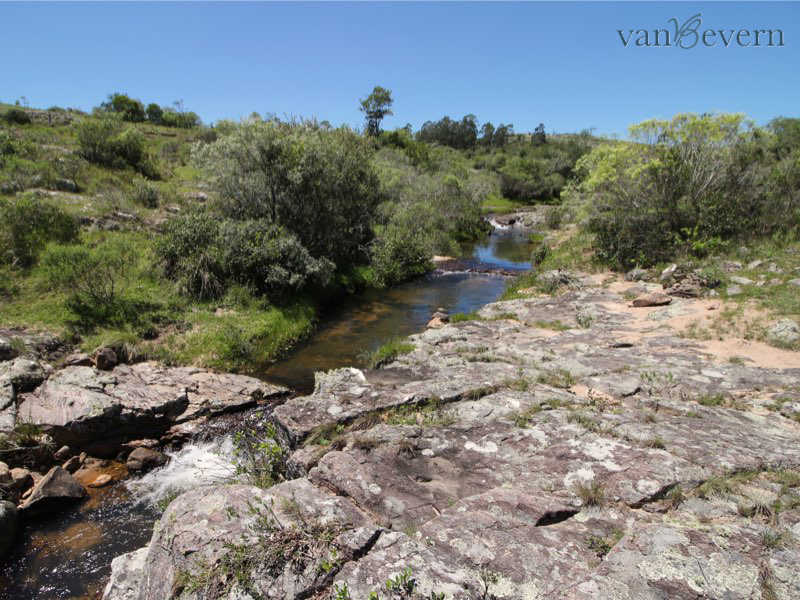 The countryside is rich in wildlife, and wild boars, wild cats (gato montés) and gray-brocket deer (guazuvirá), among other animals, can be found here. 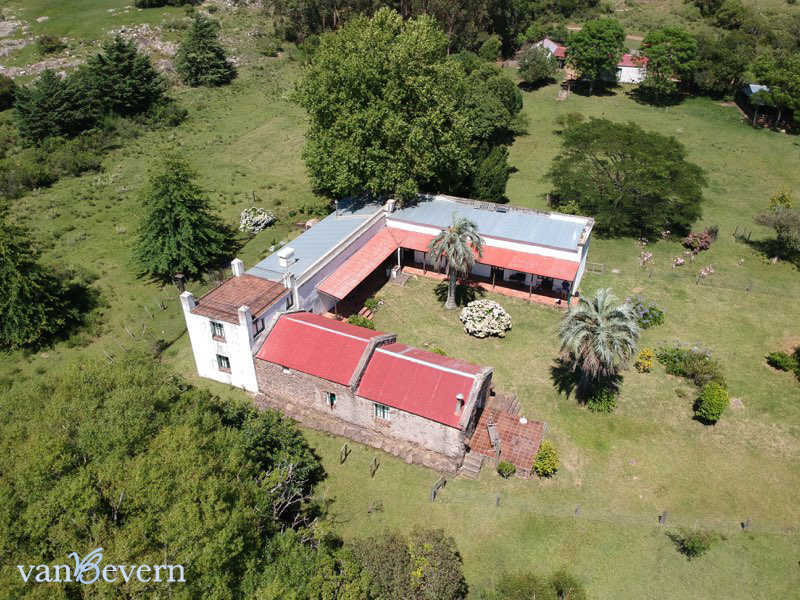 The historic main house of the property was restored around 20 years ago and offers, in addition to a large living/dining room with fireplace, three other living rooms, a kitchen, four bedrooms and three bathrooms. 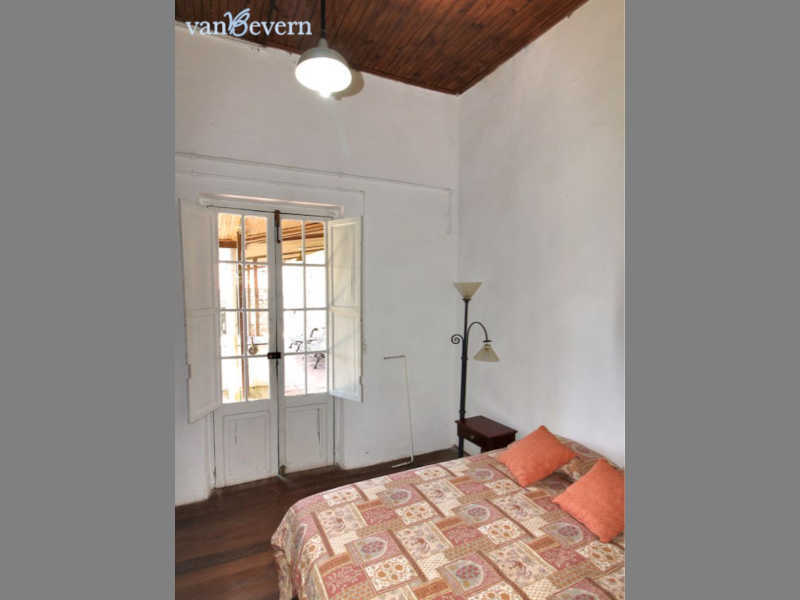 Electricity, internet and telephone service are available. 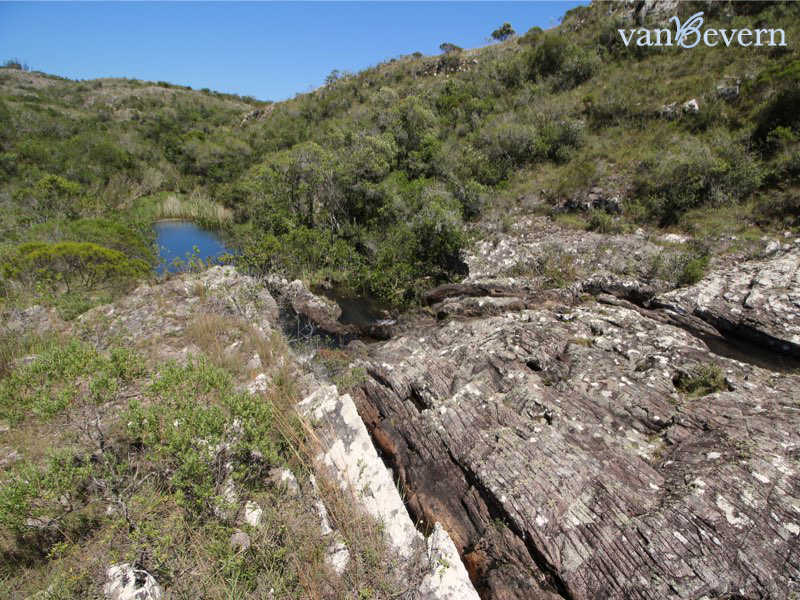 A deep well provides excellent drinking water. There is also an additional house for staff. 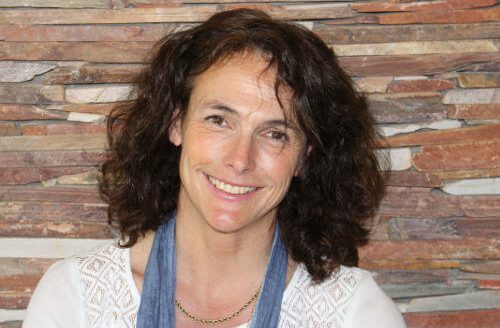 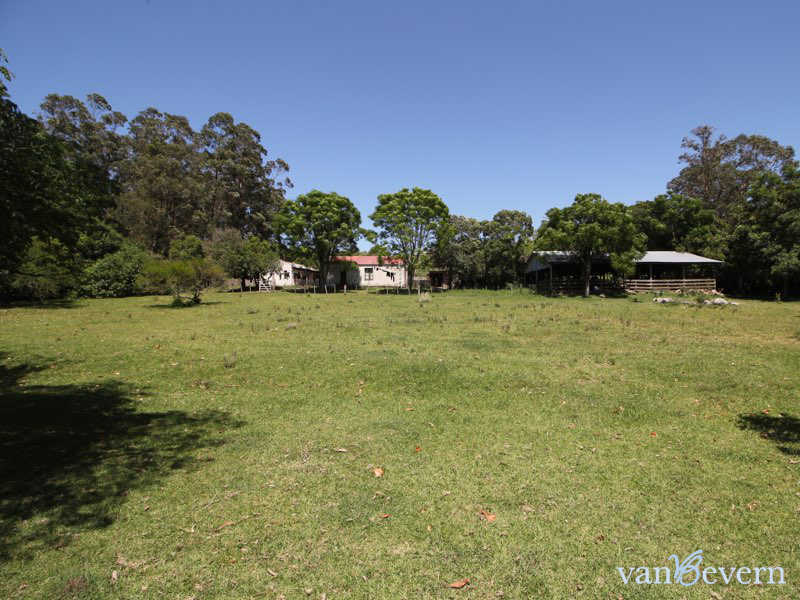 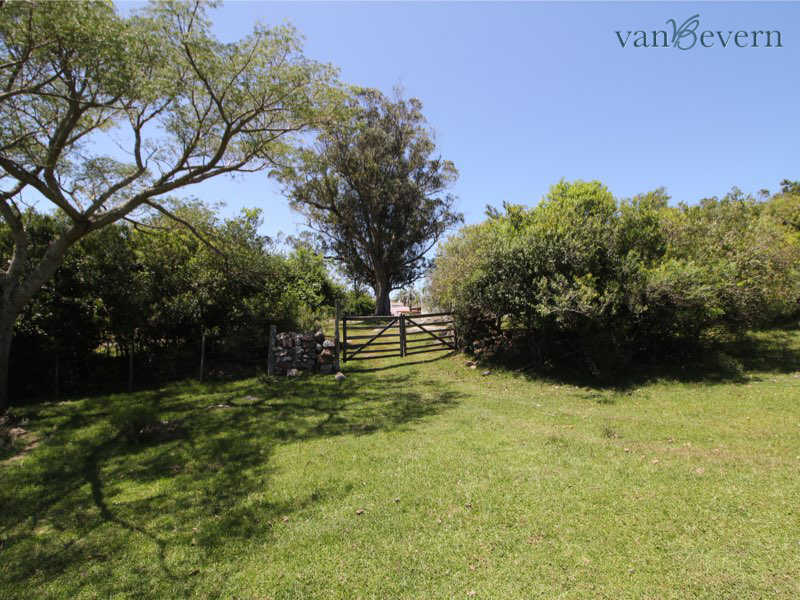 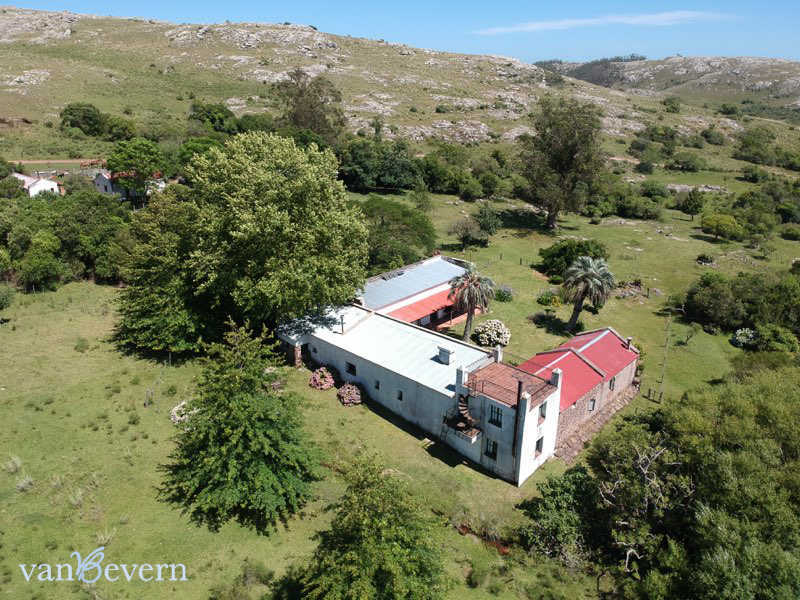 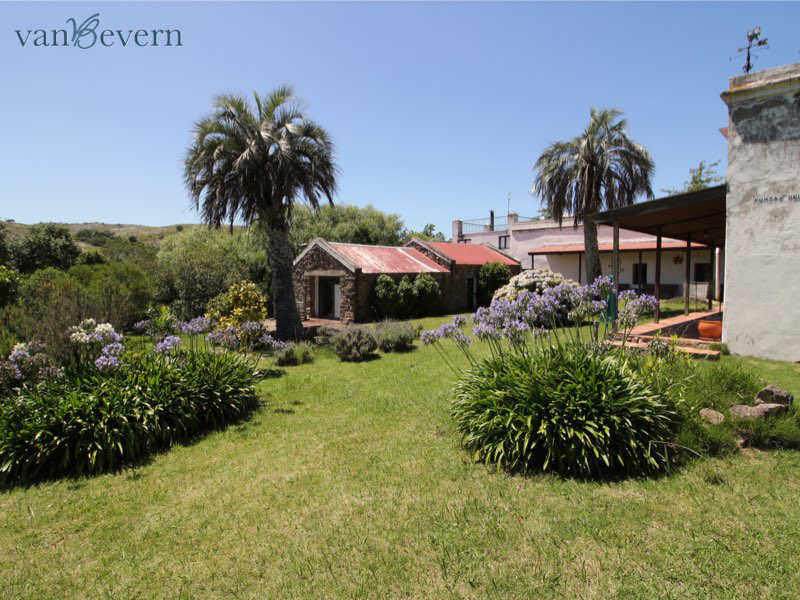 The property is equipped with livestock raising installations such as stables, paddocks and loading pens, all in good condition, as are all of the fences.  Daily shopping needs can be met in the town of Aiguá, a 20-minute drive away, where basic medical care is also available. 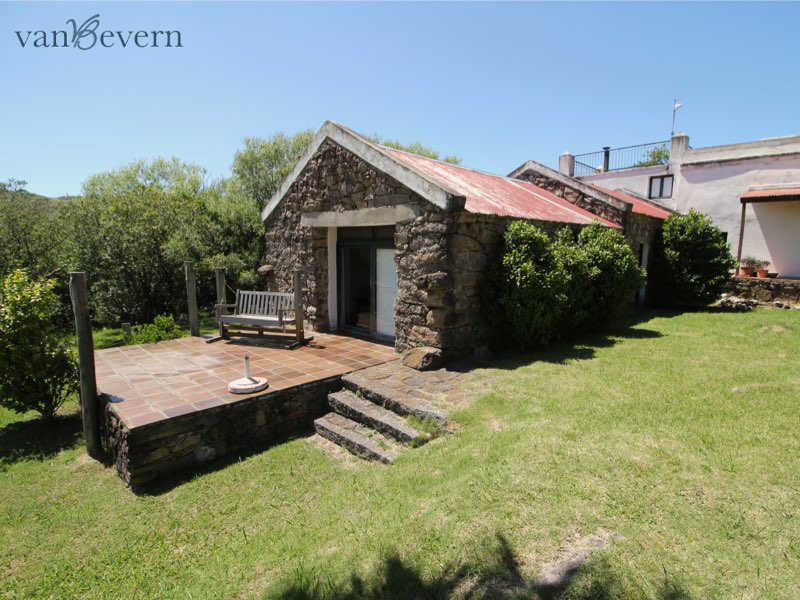 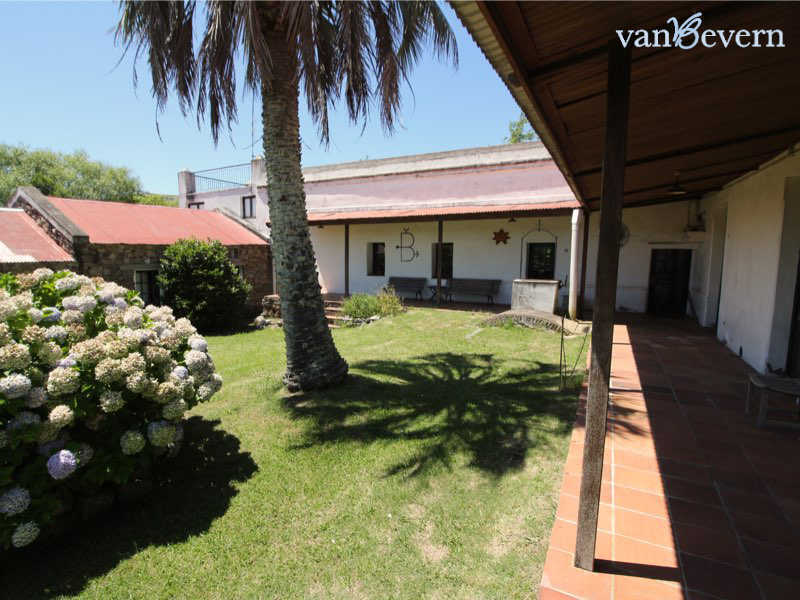 The nearest major town is Rocha, around 45 minutes away; the coast of Punta del Este is some 60 miles away. 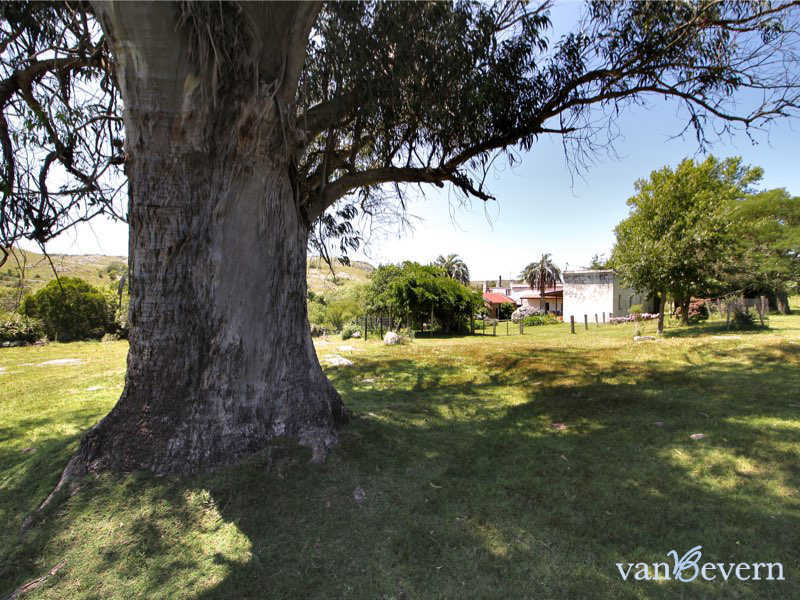 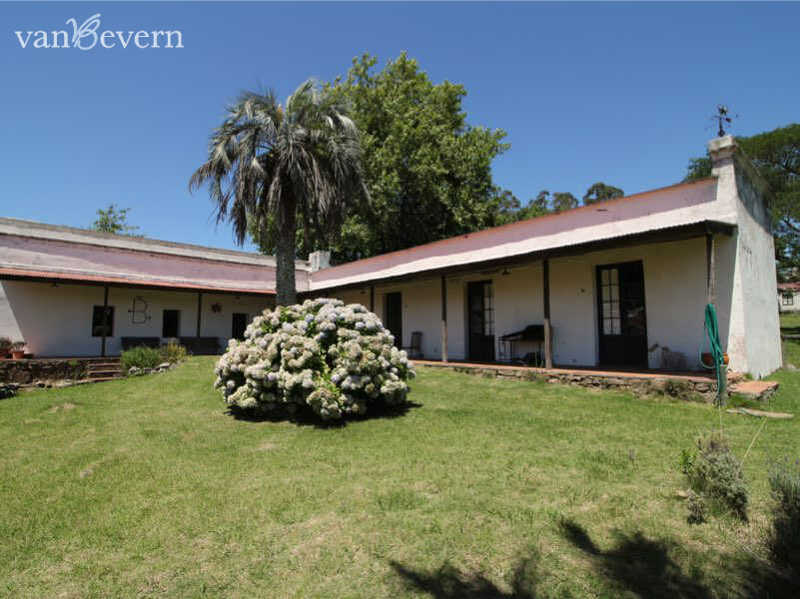 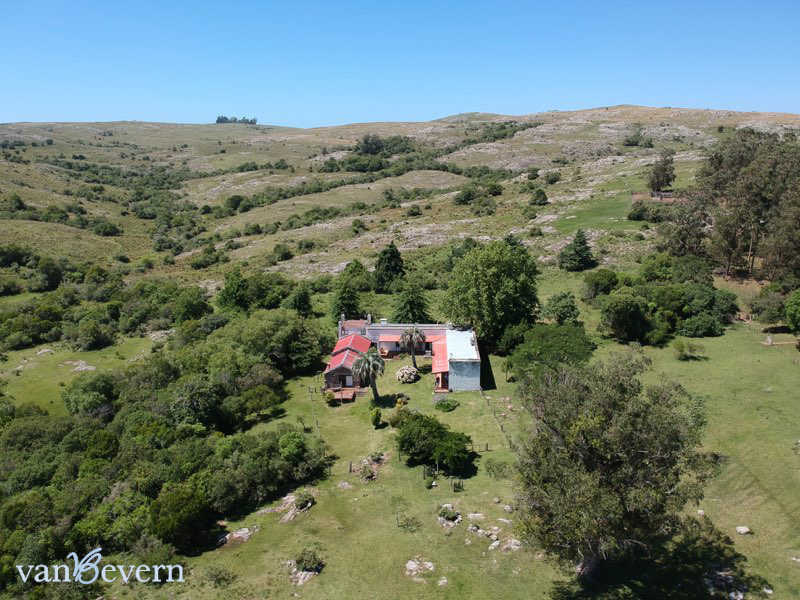 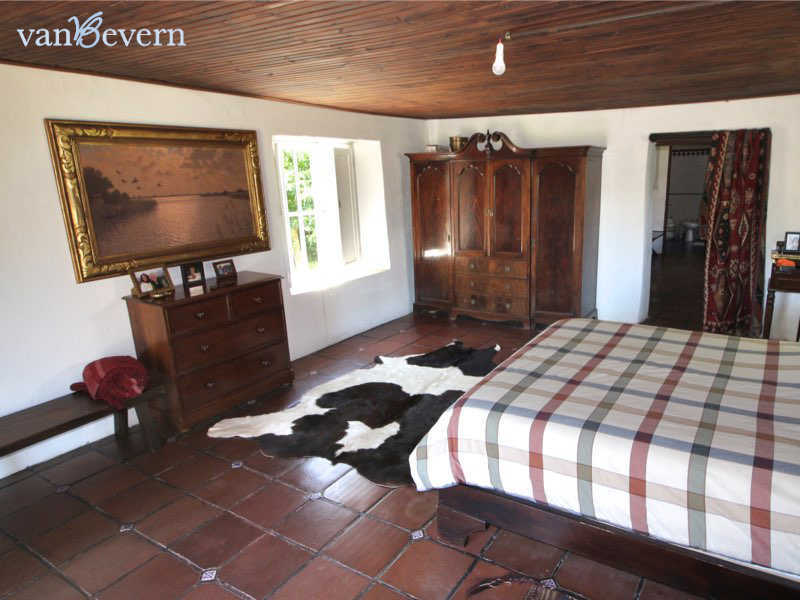 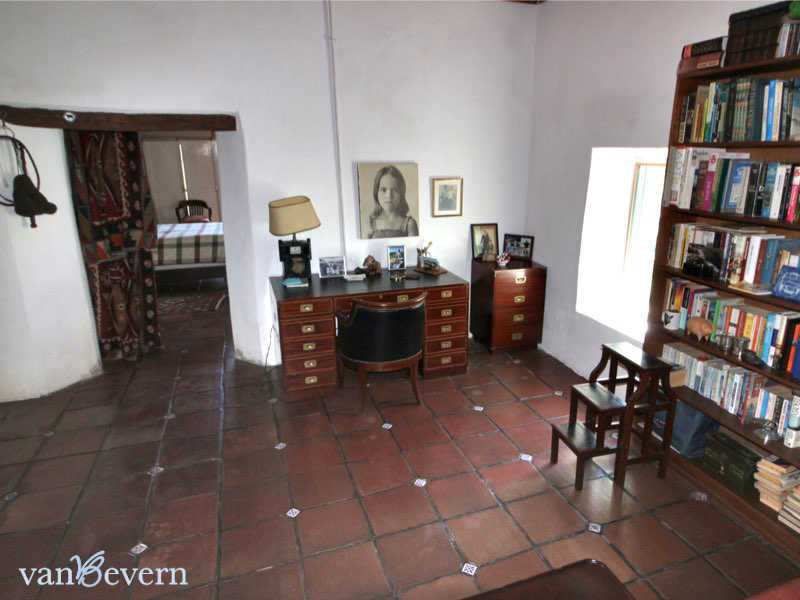 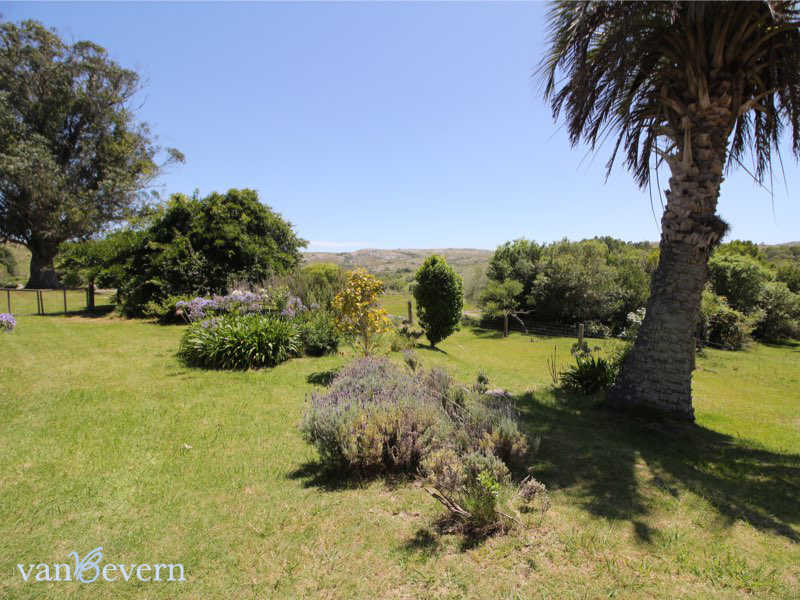 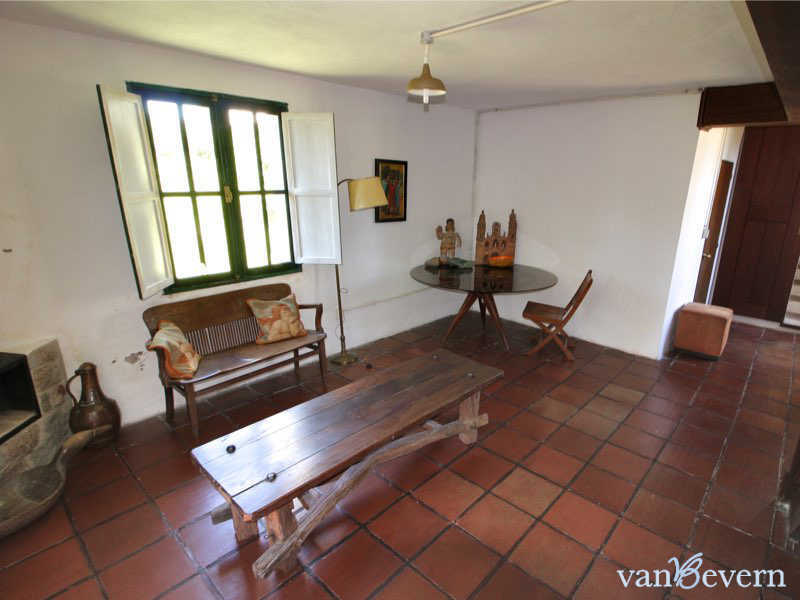 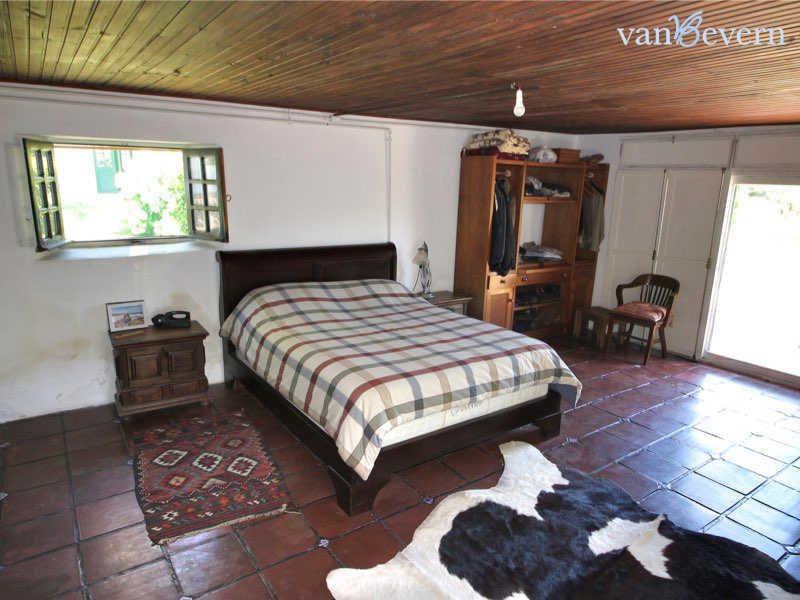 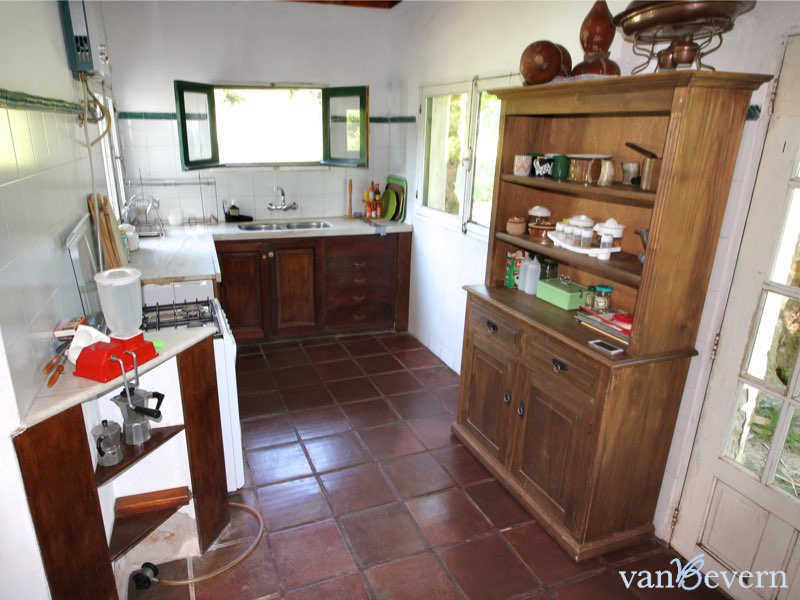 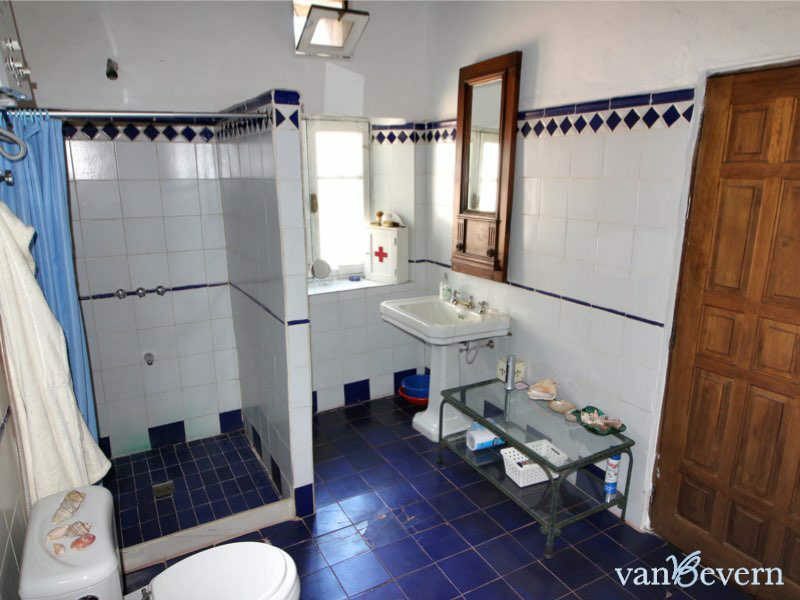 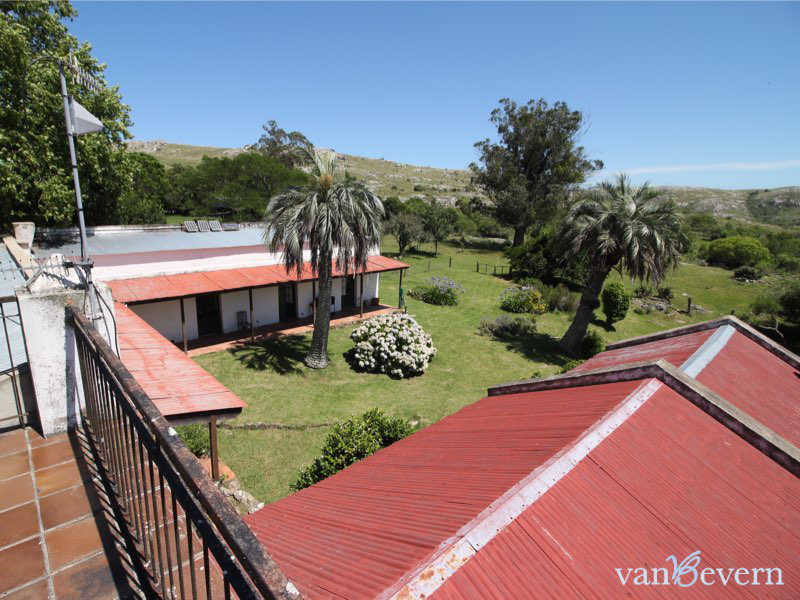 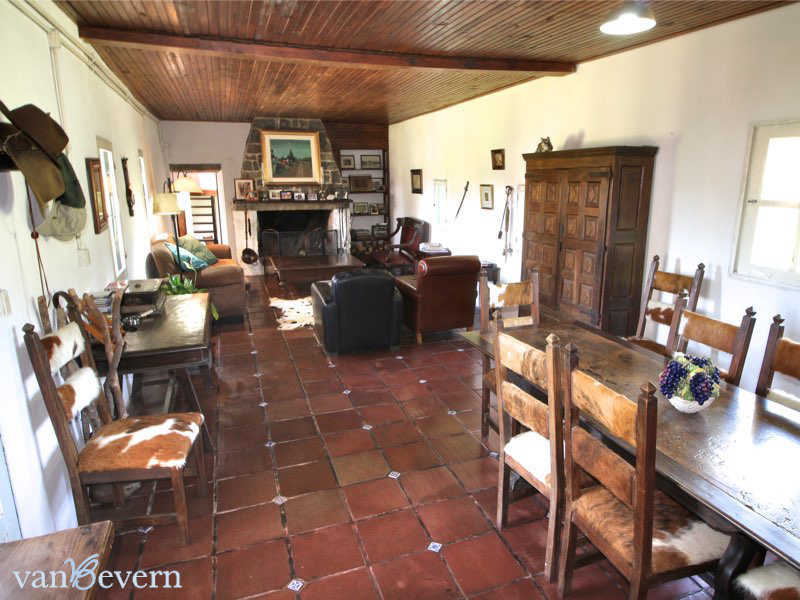 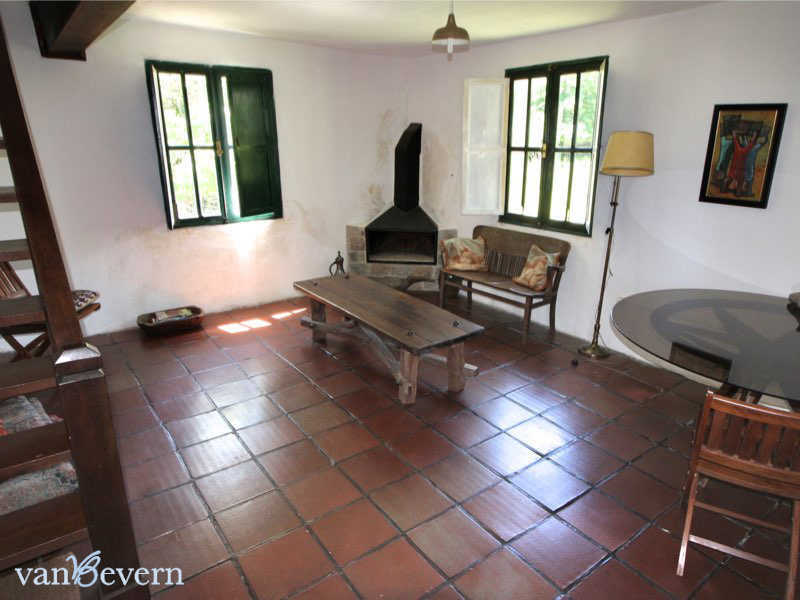 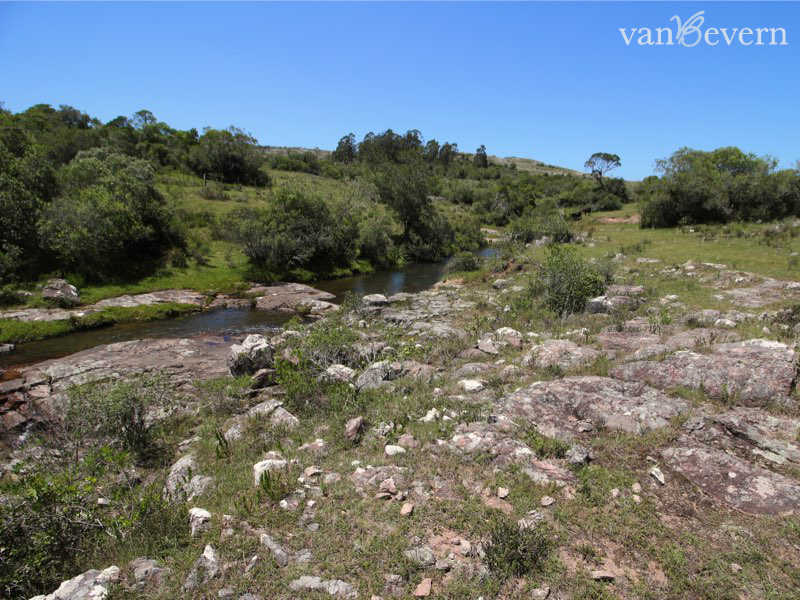 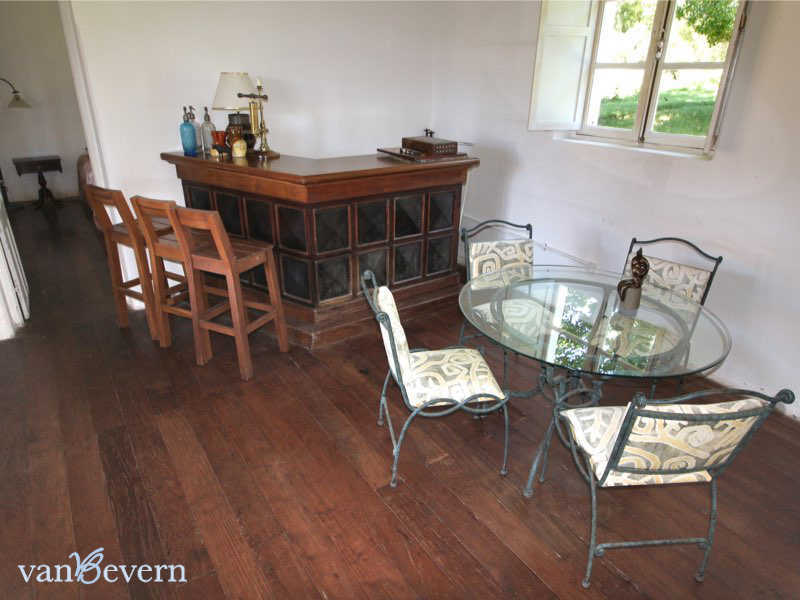 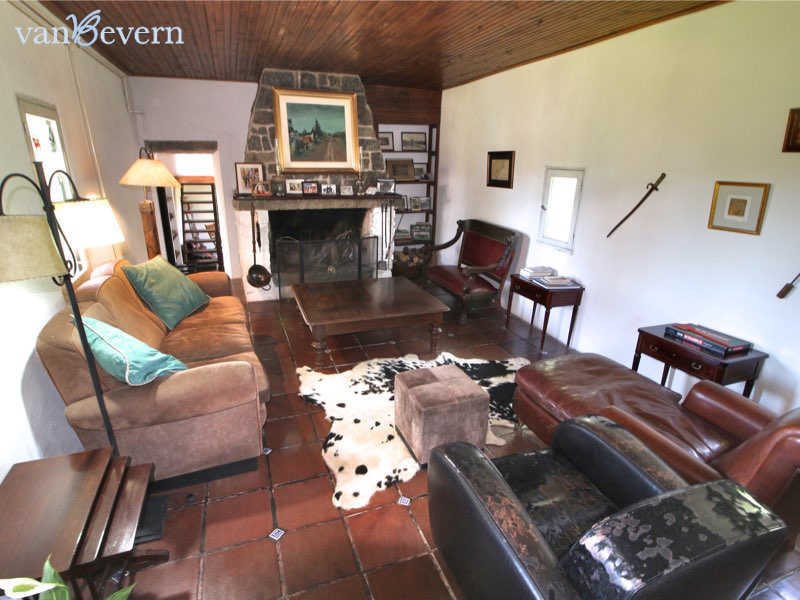 This property offers the ideal conditions for operation as an tourist ranch (known locally as an “estancia”).